Anthony Scaramucci has had a very busy (and highly publicized) week and a half-long tenure as the third White House communications director. Following the Mooch's dismissal on Monday, his 10th day on the job, President Donald Trump's administration immediately began searching for a replacement via the direction of the newly appointed chief of staff, Gen. John Kelly. But what about Scaramucci? What are the SkyBridge Capital founder's plans now that he is no longer a part of the White House? According to what he told the Huffington Post recently, nothing. "I am now going to go dark," the Mooch explained when asked about his future, political or otherwise. "Then I will reemerge as me." 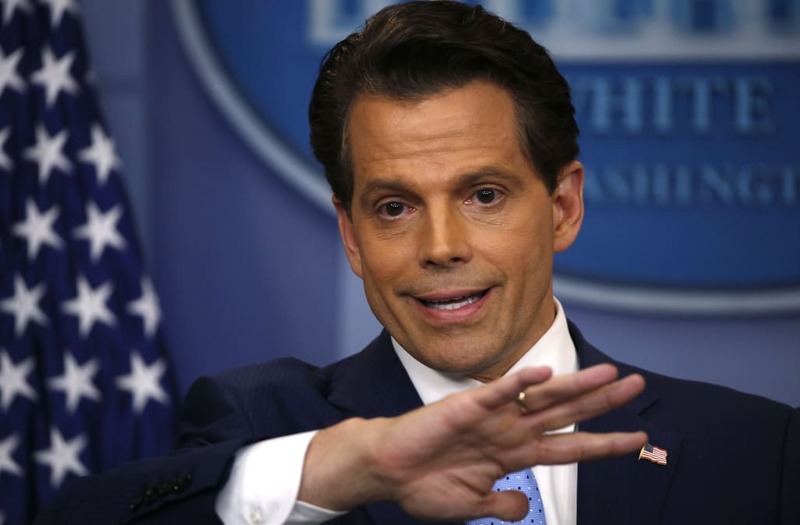 Considering the weight of what Scaramucci just experienced while battling daily barrages from the news media and from within the White House itself, who can blame him? When HuffPost's Vicky Ward talked to him on Saturday, two days before his ousting, the Mooch "sounded defeated" and apparently had a developing case of strep. Once the weekend blasted tabloid reports about his impending divorce and missing the birth of his child while on Air Force One, however, things only got worse. Come Monday morning, the Mooch "knew he was cooked" and wasn't at all surprised by Kelly's asking for his resignation. "It was a very polite conversation," recalled Scaramucci, adding that "[Trump] told me he knows I have his back, but he has to try to tighten the ship." Yet the short-lived White House official apparently remains miffed about his volatile interview with The New Yorker, especially since he and writer Ryan Lizza's families "have been friends for over 50 years." The Mooch insisted what he said was simply "humorous and joking," adding that "[l]egally, it may have been on the record, but the spirit of it was off. And he knew that." When Ward asked Lizza for comment, the journalist said he "only [knew] Anthony in his capacity as a Trump surrogate and then White House communications director" and denied being "old family friends" with him. However, Lizza did admit their "fathers knew each other, so maybe that's what he's talking about." Sorry, Mooch.